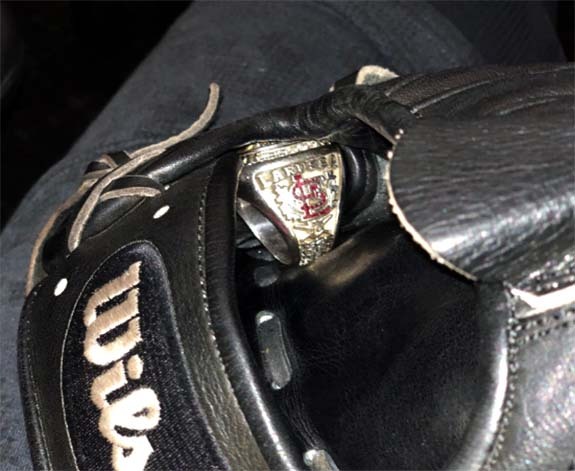 Tony La Russa, who owns three World Series rings and happened to be wearing one of them during Thursday night’s Red Sox game, was asked to catch the ceremonial first pitch. What Kelly didn’t know was that La Russa was in a panic. Somehow, he had misplaced his 2011 World Series ring and had no idea where it could have fallen off. He told the clubhouse attendants to keep their eyes peeled. 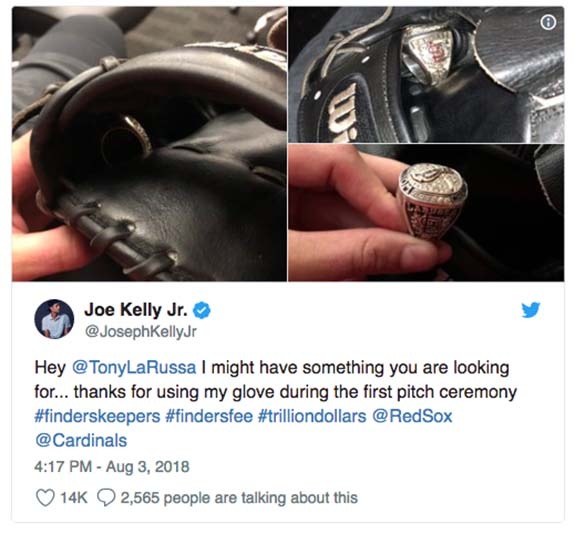 Kelly has his own theory on how the World Series ring got stuck in the pinky slot of his mitt. 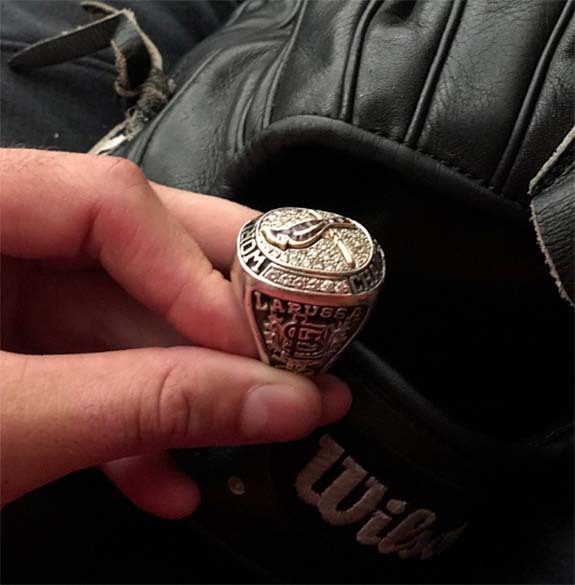 He believes that La Russa switched the ring from his ring finger to his pinky finger prior to catching the ceremonial first pitch because the massive World Series bling wouldn’t fit in the ring finger slot of his glove. Baseball mitts are designed with a bigger pinky slot, which gave him just enough room to fit the ring.